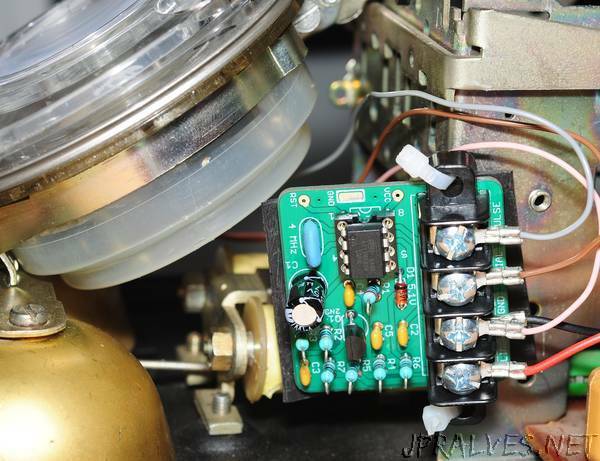 “A few months ago I purchased a Rotatone module for one of my vintage telephones. It’s a great product, but in the event that you find something you don’t like about its functionality, there’s not a lot you can do about it, because it’s not an open source product. Also if on a very tight budget, you could save yourself a bit of money building your own too. Fortunately there are a few projects kicking around the internet which make for quite a good starting point. One of the earlier efforts was undertaken by Boris Cherkasskiy and subsequently improved on by Arnie Weber on this bitbucket repository. Arnie includes some gerbers with this, which I’ve fired off to Seeedstudio PCB and made some of my own of, forming the basis of this project. I have to say it is quite a luxury to be building someone else’s design for once!